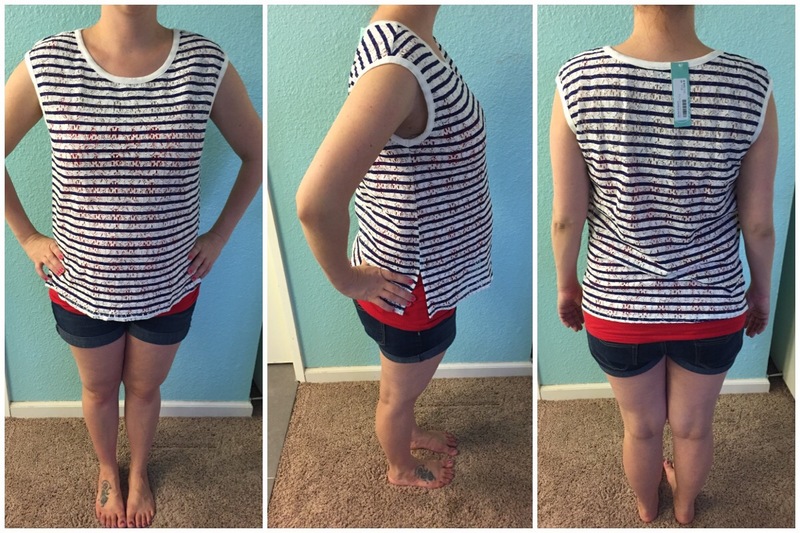 I first started StitchFix after I had my first baby. 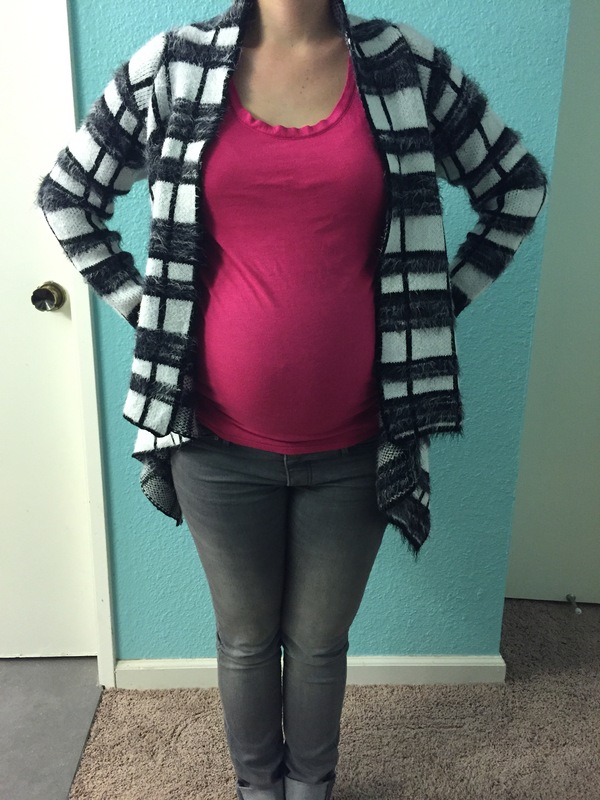 I had NO IDEA how to dress my post baby body. After my first few fixes I was totally hooked! The more details you give your stylist, the better they get to know you. Now that I’ve had my second little baby, I started my fixes back up again. (It’s so awesome how easy it is to stop and start them up anytime!) This is my first Fix post baby! The top above is my favorite! The colors are perfect for me, and the fabric is soft and flowy. It looks great over a cami, and that makes it super easy to nurse in. I loved this top too. Such a fun bright color. I love that the side is split in 2 layers. The sleeves are sheer and have some texture to them. This will definitely be great once I return to work! I liked this top too, though I decided not to keep it. It was slightly sheer with a lace detail pattern. It looked cute over this red tank. It also helped hide the post-baby tummy. I only sent it back because I needed to limit myself to 2 items. This dress is the maxi version of the grey dress I kept from this Fix. 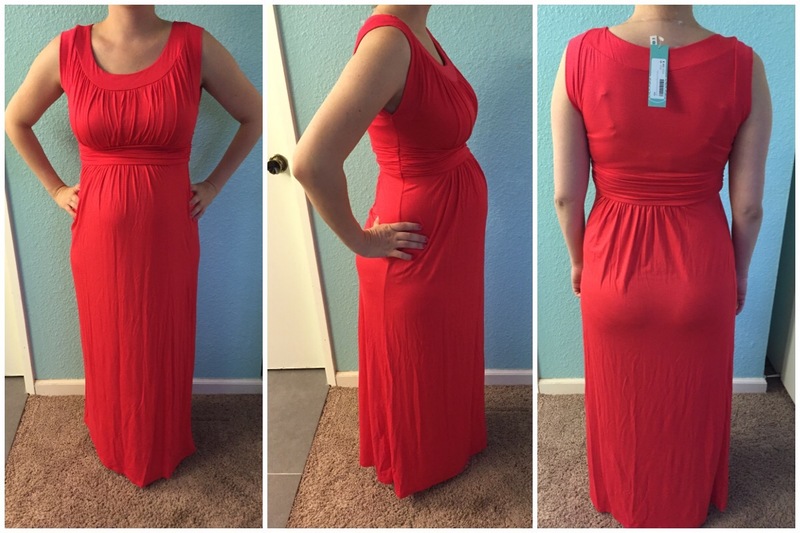 I absolutely loved the grey dress, but the maxi version didn’t work well for my tummy. I think the pattern on the grey one helped with bumps and bulges too. 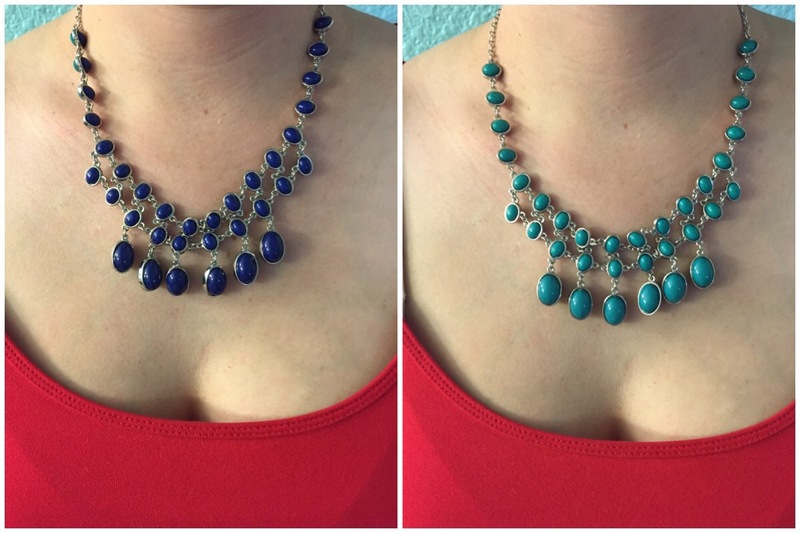 I sent the necklace back because it wasn’t really my style. It’s reversible, which was pretty cool. 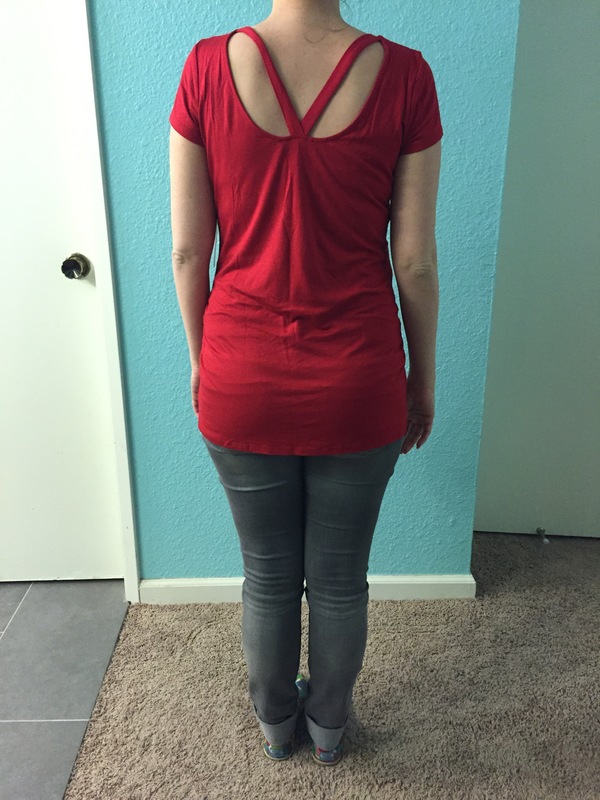 Glad to be back to StitchFix! Have you tried it yet? 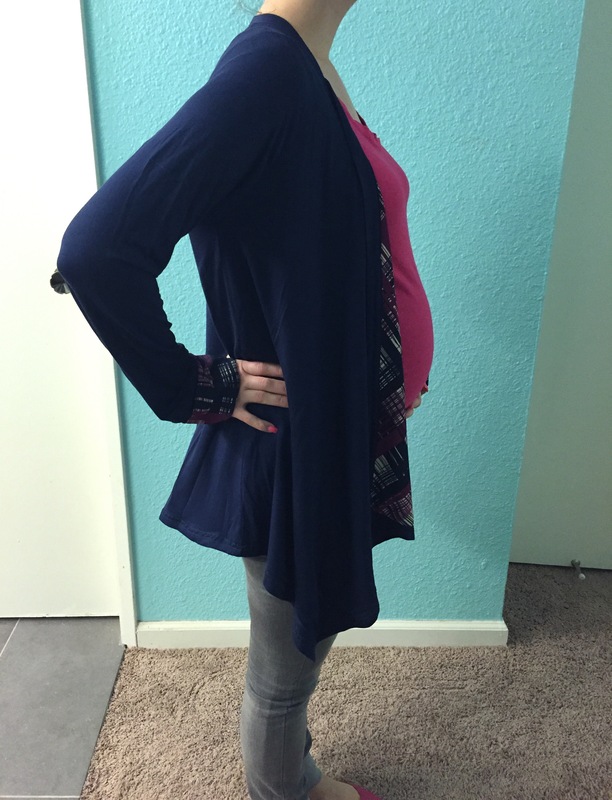 I recently received my 3rd Stitch Fix Maternity box! I was delighted to find that I loved ALL 5 items! I kept them all and enjoyed my 25% discount! I absolutely love this dress. It may not be maternity but fits perfectly even with a big round belly. Fabric is so soft and so comfy. This shirt. I love the cut in the front. 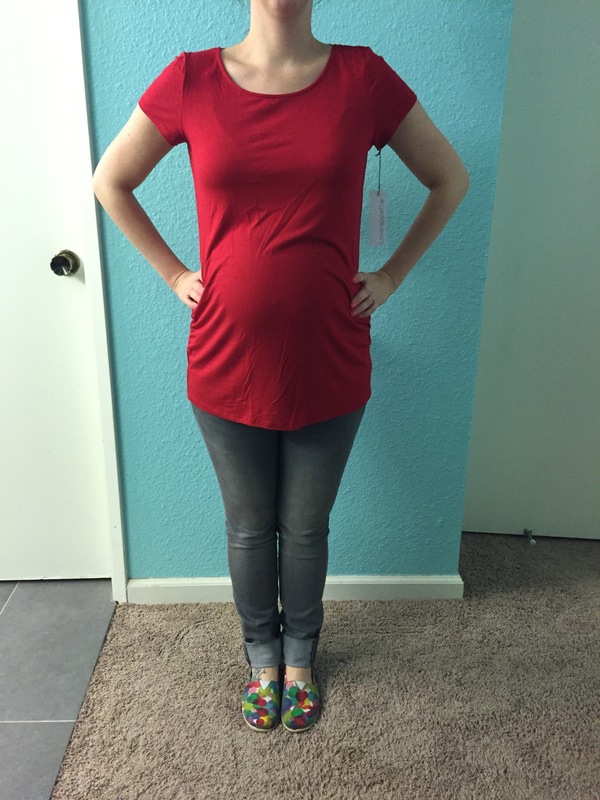 So many maternity shirts are high on the neck/chest and unflattering. The ruffle is girly and cute for work but casual enough for weekends too. It’s very comfy and lots of room to grow. 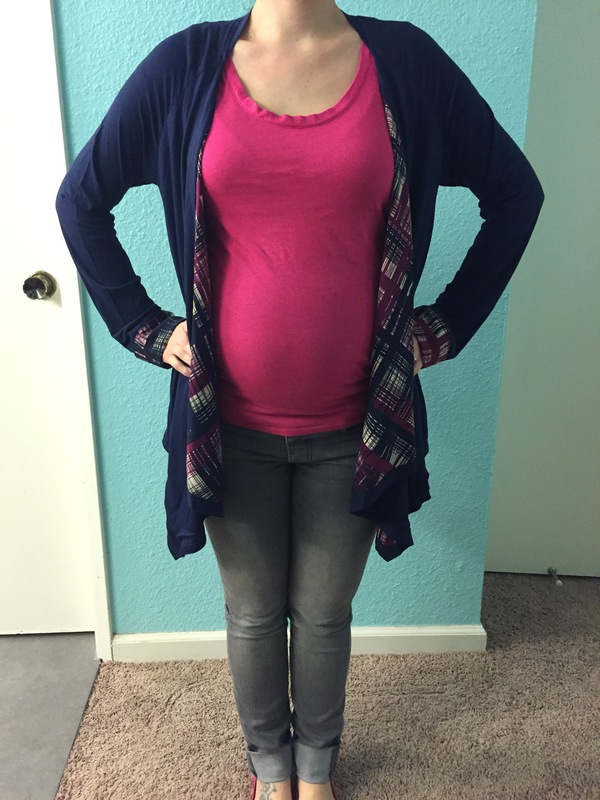 This is a comfy and perfect maternity basic. It’s nice and long, stretchy, and lots of room for bumpie growth. Look how big I’ve gotten since last month! Love this cardigan. The color is perfect for me. The fabric is soft and stretchy, and light enough for summer but perfect for indoor AC at work. We freeze sometimes at work so items like this are ESSENTIAL. These earrings were my 5th item. I love how simple and delicate they are, but still cute and can easily go with a dressier outfit. I don’t always like to wear necklaces and so I have been trying to make an effort to remember earrings everyday. What a successful box, right?! Click here to sign up for StitchFix for yourself! 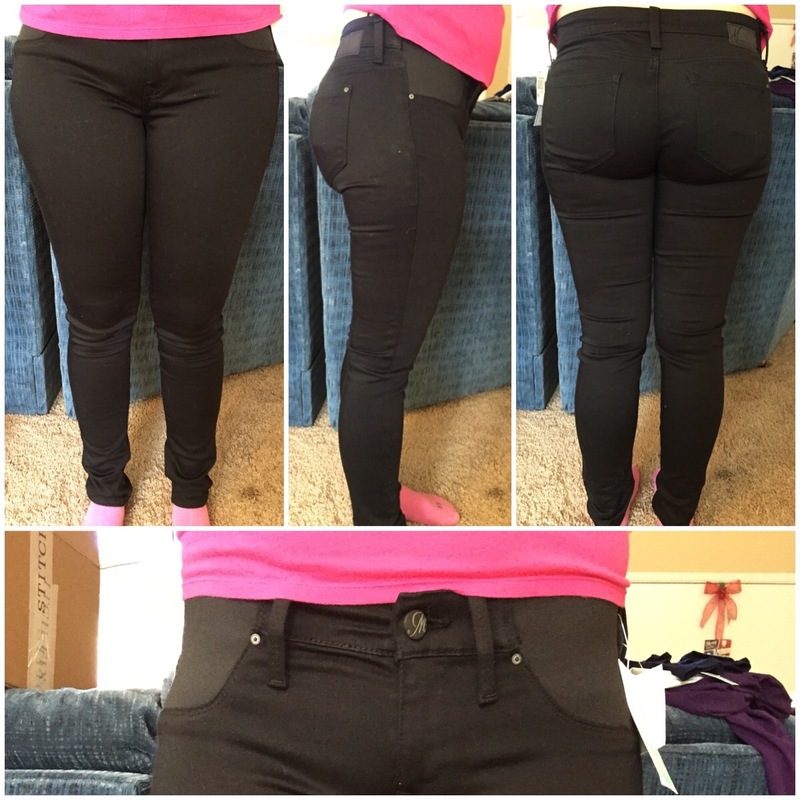 Each of these pictures I’m pairing the top I got in my StitchFix with these amaaaaazing maternity skinny jeans I got at H&M. They are my absolute favorite. I kinda wish I could just wear them everyday. This first cardigan I absolutely LOVE. I was in need of something “outerwear” that was Navy blue and this is perfect. It’s not too thick but not too thin, and has this fun pattern on the inside. The sleeves were a tad long so I cuffed them out, and then realized that I think they’re supposed to be like that. 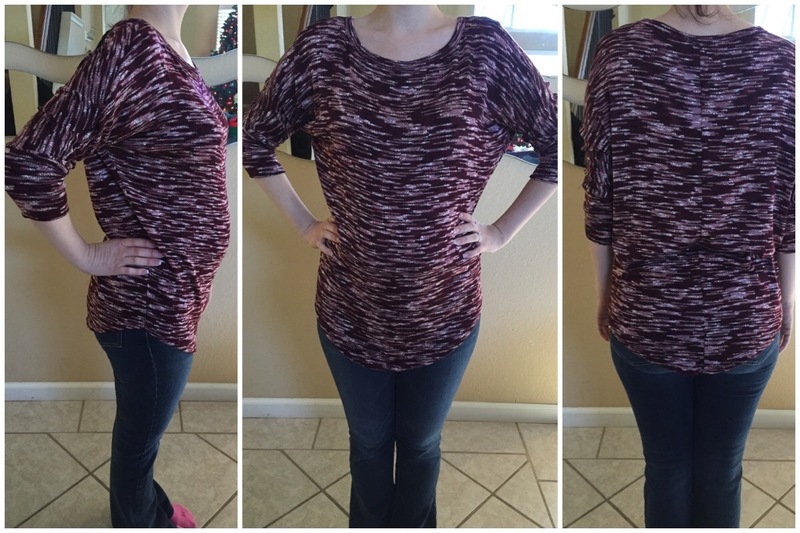 This isn’t maternity but works perfectly over my maternity tops. Definitely keeping this. This caridgan fit me a little funny. The sleeves seemed like they were too short. If I would have shifted to any other position they would have been about an inch or two from my wrist. The sweater is super thick so it would be great for winter, but I don’t like the “hairy” look of it. The colors and pattern are great though, and I love the way it drapes down the front. I didn’t keep it. This top was technically not maternity, but fit over the bump because of the poncho style. I felt like it was super unflattering and just didn’t work for me. Not keeping. This top is light and comfy. 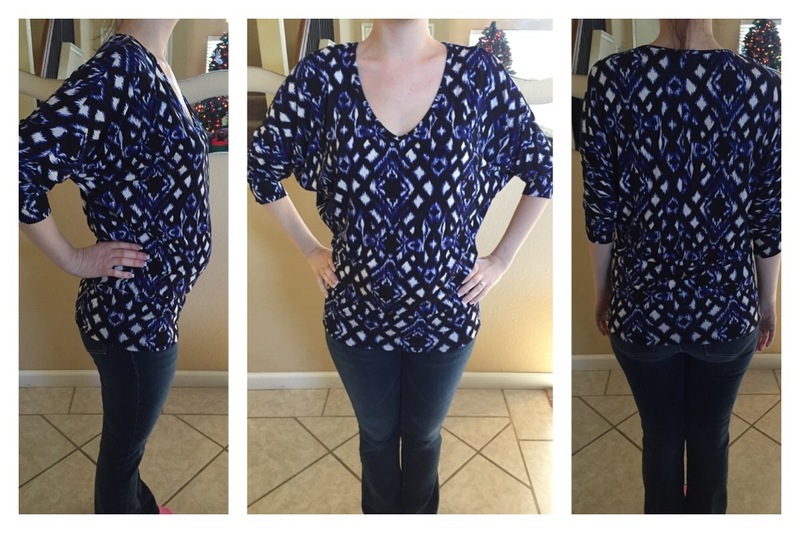 I prefer my maternity tops to be more form fitting, but it wasn’t too loose to make me feel like it was unflattering. And the back is SO SO cute! It’s perfect material for dressing up for a night out, or dressing down with my polka dot toms. Decided to keep this one. I know this is weird and totally not dessert related. Let me explain. You pick which items you want to keep, and send the rest back. They even give you a pre-paid envelope that fits right in your mailbox. So easy. Then you check out online and pay for your items. The $20 styling fee gets deducted from whatever you decide to keep. If you send all items back, all you pay is the styling fee. If you keep all 5 items, there’s a 25% discount! They send clothes mostly, but also jackets, jewelry, and scarves. You can leave a personal note such as “I have a Christmas party coming up, send all dresses” or ask for a specific item like a certain brand of pants you loved from your box the month before. You can also create a Pinterest board with clothing that you love and they actually look at it and try to find things similar to things you’ve pinned. How cool is that?! 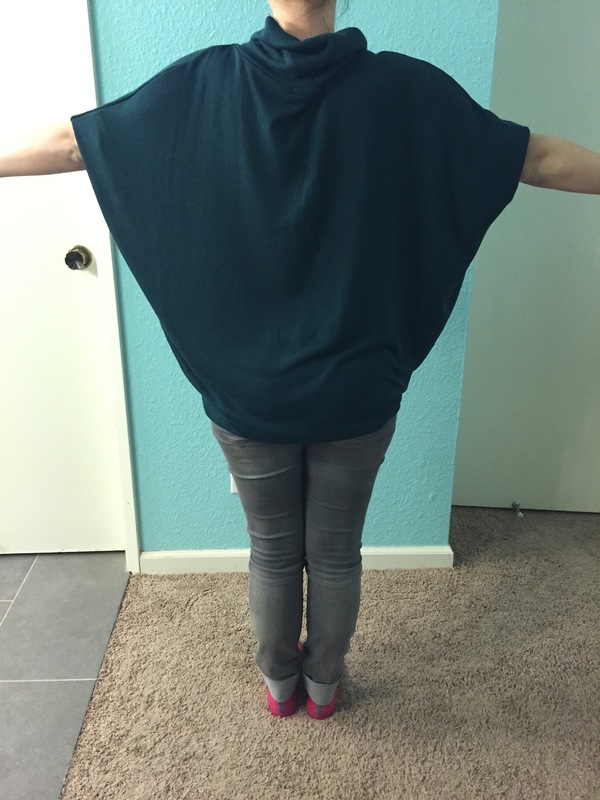 Anyway, I’ve been doing Stitch Fix for probably over a year now. 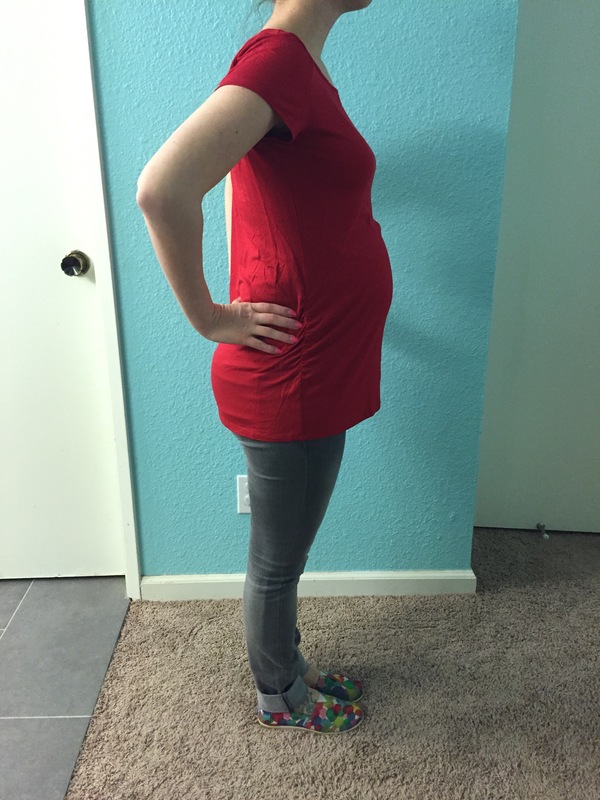 I recently left a note asking for no pants or bottoms, and flowy-er tops because I’m in early pregnancy. I also let them know that the next box would probably be my last until after baby. 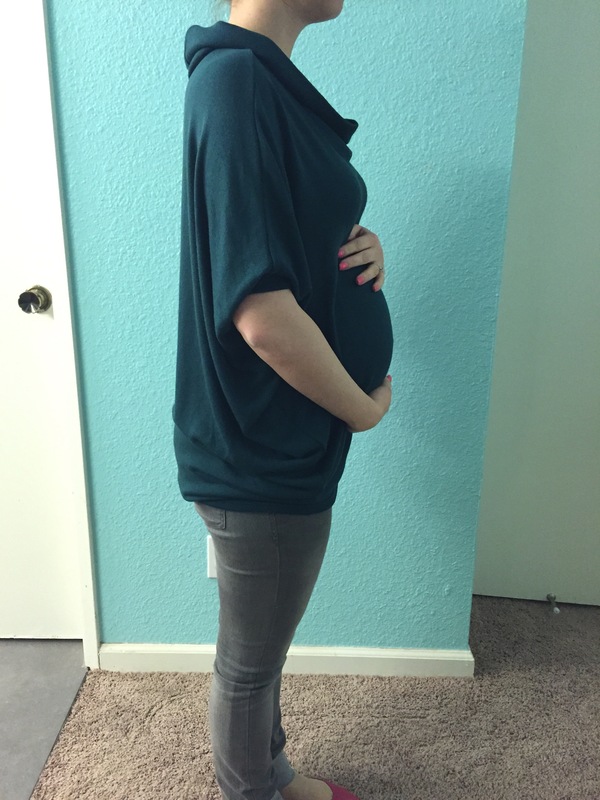 To my surprise, Stitch Fix now does maternity! 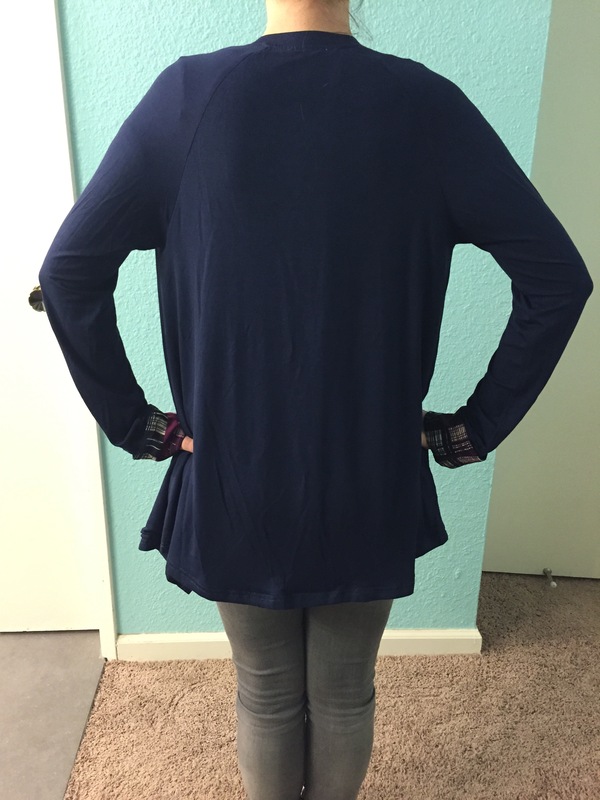 There’s always a little note from your stylist, and she let me know, so I went online and updated my Stitch Fix profile. They even ask for your due date so they can keep track of how far along you are. Immediately I started scouring the interwebs for “Stitch Fix maternity.” Every result I got said something like “even though Stitch Fix doesn’t exactly do maternity…” and went on about how you can make certain things work or tailor your box to your current needs. So now Stitch Fix does do maternity… This must be BRAND NEW! So since I couldn’t find anything, I decided to be the place other searchers will find. 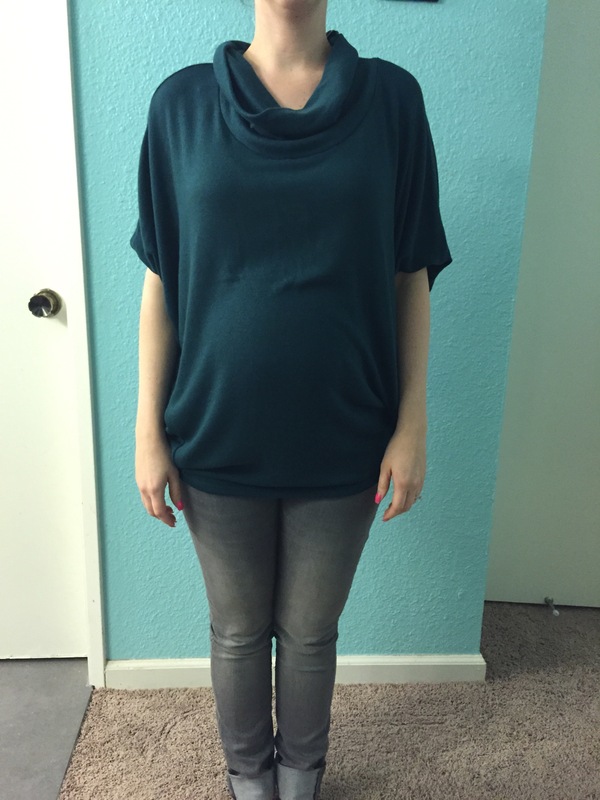 Stitch Fix DOES DO MATERNITY NOW! 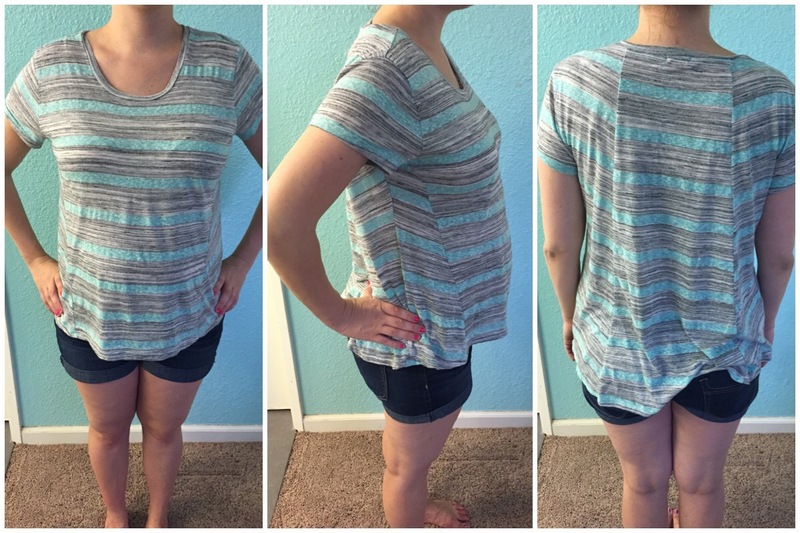 So I thought I would share what I received in my first Stitch Fix Maternity box! Here we go…. This cardigan was huge on me. I liked the colors a lot and the style, so I was a little disappointed. It has pockets in the front too. This particular cardigan might not technically be maternity (I don’t know if it is or not), but it doesn’t matter. 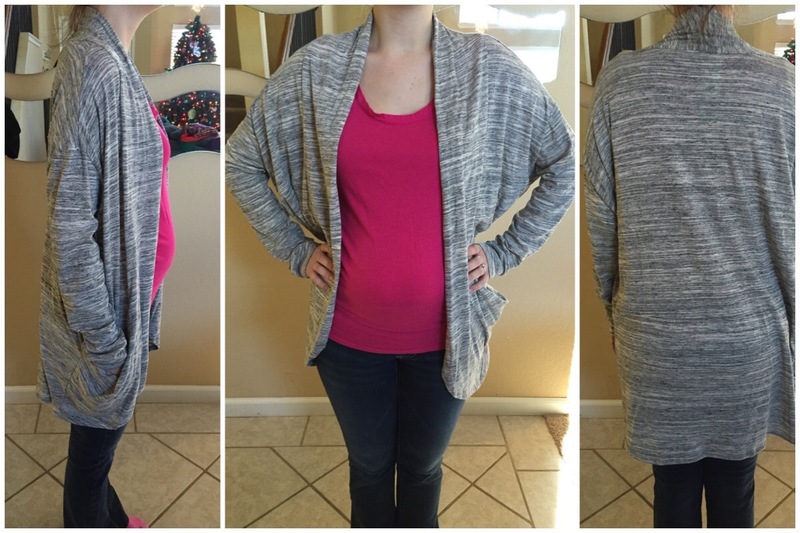 Cardigans are perfect for maternity because you can wear any maternity shirt with it. I was pregnant last time in the summer so all of my shirts are short-sleeved or sleeveless. I sent this back. It was just too big. I really liked the colors and pattern of this shirt. I also love that it comes down to a V in the front. I wasn’t a big fan of the band at the bottom. My belly got pretty big last time so I don’t think this would fit for long. I sent this back. I LOVE this sweater. It’s light but still warm, and will fit for a while. The color looks brown here, but it’s really more of a dark purple. I prefer brighter colors, but it’s not bad. I kept it. These pants. As you can tell, they’re pretty tight. Really comfy, but a little too “skinny” as far as skinny jeans go. The top is amazing though. The stretch bands are to the side, so I think they would stay up better than most maternity pants do. I sent these back. This dress I don’t think is technically maternity. 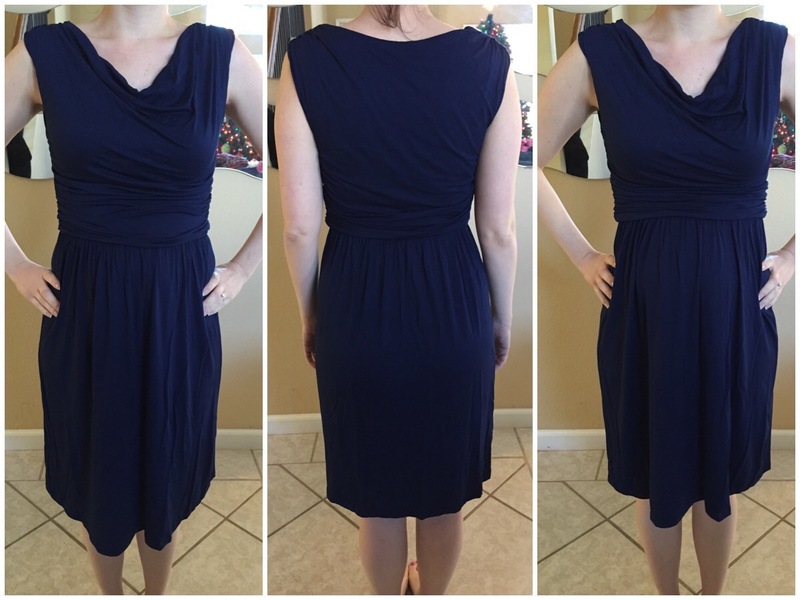 The front-view on the left is the dress pulled down where it’s supposed to sit. The band it right across the top of my belly. Not comfortable and probably wouldn’t fit for long. In the front-view on the right I kind of hiked the dress up a little bit. It fit a lot better and was more comfortable. 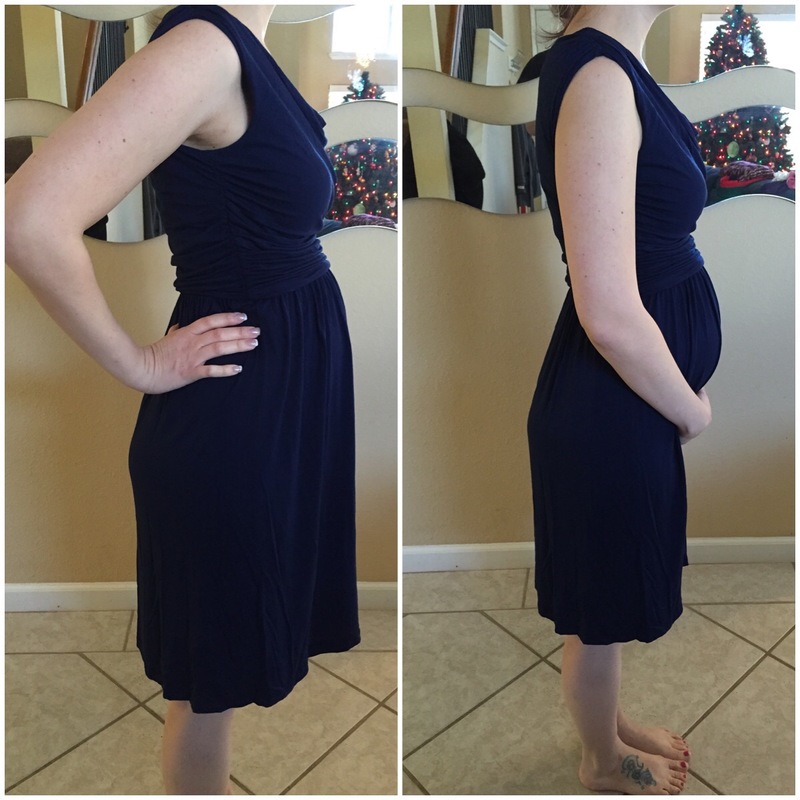 As dresses with pregnant bellies go, if they’re not maternity they just shorten in the front as you grow. And that’s exactly how this one would go. If I wasn’t pregnant I probably would have kept the dress. Cute for a night out or for a holiday party. 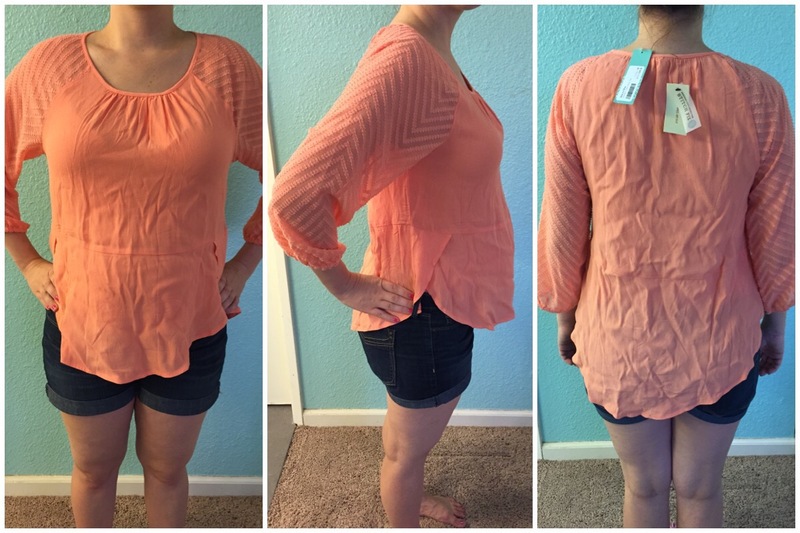 If you don’t do Stitch Fix, you should try it! Whether pregnant or not. 😉 Clicking on any of the links above will take you to the site via my referral link.